Margaret “Meg” Patterson is an associate with Compton & Duling, L.C. in the domestic relations practice. 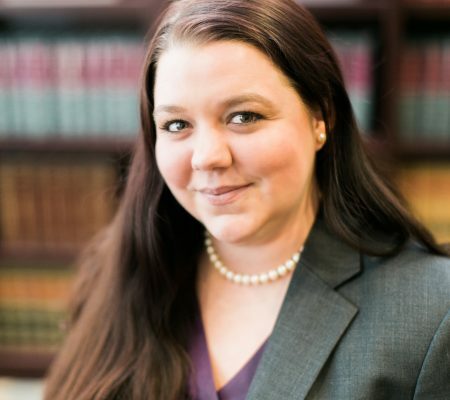 Her litigation style is informed by criminal prosecution experience, making her a dynamic advocate in protective order cases. She served as a Guardian ad Litem for abused and neglected children during her time at Duke Law School, and her passion for protecting children continues today. Meg also has significant estate planning and administration experience, having served as Staff Attorney to the Hon. John H. Rust, Jr., Fairfax Commission of Accounts. She is admitted to practice in Virginia and Maryland. Outside of the courtroom, Meg serves as Regional Co-Director for Destination Imagination, a non-profit which hosts tournaments for students to compete in STEAM-based challenges. As secretary for the Arlington Commission on the Status of Women, she advises the Arlington County Board regarding issues affecting women in the community.